Nothing tastes as authentic as pizza fresh from a wood fire brick oven. If you are looking for wood-fired pizza in Niagara Falls then visit Coco’s Terrace Bar and Grill. Our family friendly atmosphere, kid-friendly pizza menu, and close proximity to the falls make it a Niagara Falls mainstay. What is a Woodfire Brick Oven? 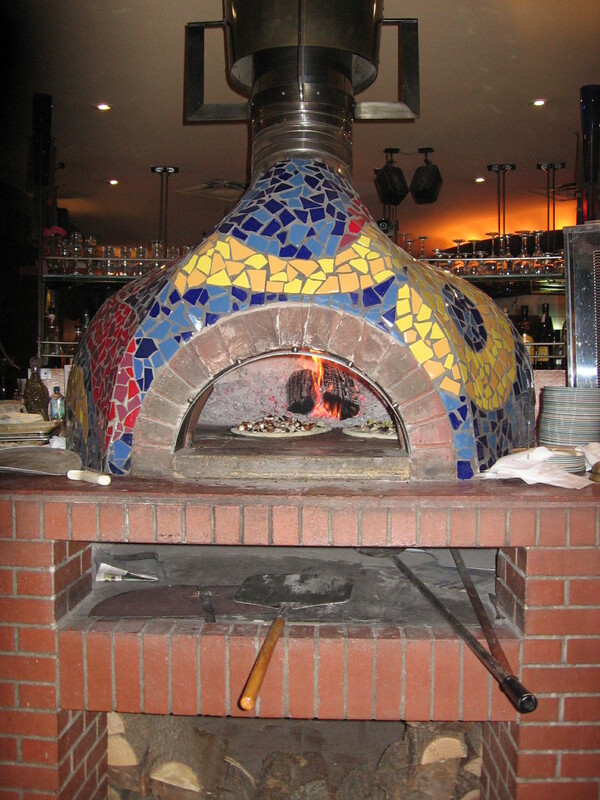 Our brick oven is specially built and heated by a small wood fire. Heat radiates from the fire and is absorbed by the brick. Heat is distributed evenly and the stone floor of the oven remains slightly chillier than the walls. This oven means our pizza has a unique, smoky flavour you won’t find with other pizza in Niagara Falls. It also means our pizza’s crust crisps quickly. So it is both crunchy, pleasingly chewy and more flavourful than other restaurants in Niagara Falls. The oven’s heat also leads to crispier vegetable toppings, while the speed of cooking means that vitamins and nutrients remain. Not only does it have gourmet taste, but ours is the only pizza in Niagara Falls that comes with a show. Our chefs prepare the pizza right in the open. Kids love watching our chefs make their meal, right from the very start at rolling the dough to being pulled out of the oven. Not only is this a great visual experience that fills the air with a wonderful delicious aroma, but it’s great fun! At Coco’s we know you will enjoy a lively atmosphere and the freshest pizza in Niagara Falls. Our menu has a range of special ingredients. Enjoy classic pizzas like our Pizza New York with tomato sauce, mozzarella cheese, and pepperoni; or the Pizza Hawaiiana, with tomato sauce, ham, and pineapple. There are many toppings you won’t easily find on other pizzas in Niagara Falls. The Pizza Vegetariana has tomato sauce, mozzarella cheese, mushrooms, green peppers, red peppers, onions, broccoli, and olives. The Pizza Capricciosa has tomato sauce, mozzarella cheese, mushrooms, ham, onions, green peppers, olives, and artichokes. Our famous Coco’s Special Pizza has tomato sauce, mozzarella cheese, Swiss cheese, chicken breast, red peppers, rosemary, and olives and is a popular hit with our patrons! Are your kids on the picky side when it comes to pizza toppings? You can personalize your pizza by choosing or adding toppings to any of our pizzas. Parents know that kids love pizza, especially picky eaters because it’s so customizable. Our pizzas are not listed on the kid’s menu, but that doesn’t mean they are not kid-friendly. A brick fire oven may be the only way you can get your kids to eat veggies, and because it is made in a wood fire brick oven it is much healthier. Customers can attest, our wood fire brick oven is the best tasting and healthiest pizza in Niagara Falls! Our beautiful oven and the smell of fresh pizza is part of our family friendly atmosphere. Our pizza has quality toppings to satisfy any gourmet palate and simple options for even the fussiest of kids.